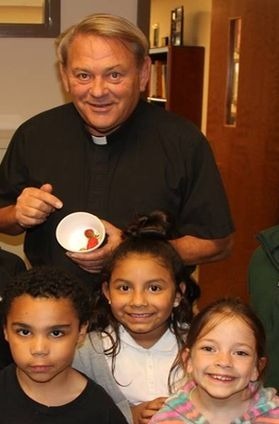 Welcome to Our Lady of the Greenwood Catholic School!  This school is one of the largest ministries of Our Lady of the Greenwood Catholic Parish, and it exists in order to carry on the teaching ministry of Jesus Christ and his body on earth, the Church. It is a happy home for over roughly 500 students, faculty, and staff. As parents, you have a dream for your children. You carry the torch that lights the way for your children as they delight in discovering who they are and what God calls them to do with their lives. At Our Lady of the Greenwood School, we hold the light of Christ with you. We dedicate ourselves to shining the Christ-light in every aspect of your children’s development. Through best practices and Indiana Common Core standards, your children receive instruction that begins at the place where they currently stand and lifts their feet forward to the academic levels where they need to stand for high school and beyond as life-long learners. The Light of Christ is present for your children in their emotional, social, and physical development. All OLG faculty and staff members commit themselves to loving and nurturing children in every way possible. Whether it is food for the body through our excellent hot lunch program or food for the soul in our school’s commitment to prayers throughout the day, weekly worship, and sacraments, Our Lady of the Greenwood School is a place where your children are loved. As parents, you want to know that your children are loved when they enter a school’s doors. Guided by the Holy Spirit and nurtured through the Sacraments, Our Lady of the Greenwood’s faculty and staff strive to love and care for your children as much as you do. That’s the difference between a Catholic and a non-Catholic school. Jesus is our Great Teacher. We look to Him for example so we can best love your children in the same way. 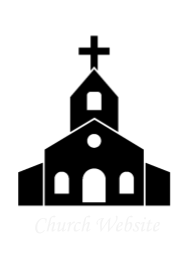 Our Lady of the Greenwood Parish supports us through prayer and aligns themselves with our mission. No public entity can provide that envelopment. Children need all aspects of their beings nurtured. To educate the whole child is our mission. We walk this journey with you from pre-school all the way through eighth grade.